So I did it. I painted my sofa. Me and my big mouth. A couple of weeks ago I was all excited about my new blog and I’d just done an Annie Sloan paint workshop. These 2 facts lead to me making the somewhat rash statement that I was going to paint my leather sofa. If I thought people would just smile indulgently and put it down to artistic licence, I was wrong. There have been daily enquiries about whether the deed has been done ever since. Yikes, I thought, I’m actually going to have to paint my sofa. Thankfully the sofa in question is old and battered and was definitely due some kind of intervention. I thought it needed a loose cover. Mr Y thought it needed a bin. He definitely did not think it needed painting. Undeterred, off I went to buy the paints. It’s 50 Shades of Grey in my house (colour scheme wise!) so I spent some time with the tester pots mixing the exact grey I wanted. I bought Louis Blue, Graphite and Pure then headed home and set to work. I can’t really describe the frenzy of excitement that Mummy so dramatically flouting the ‘we only paint on paper’ rule caused among my 3 children. They were desperate to help which obviously slowed me down considerably. My top tip here would be that the fewer ‘helpers’ under the age of 7 that you can arrange, the better. Thankfully they quickly got bored and my son decided to get photographic evidence of Mummy losing her mind instead. I should say at this point that while the paint is brilliant, I am not. My biggest mistake was using 2 plastic Minnie Mouse party cups as measuring implements. Apparently making a mental note of roughly how far up Minnie’s ear each colour needs to go, does not result in an exact match every time you mix more paint. 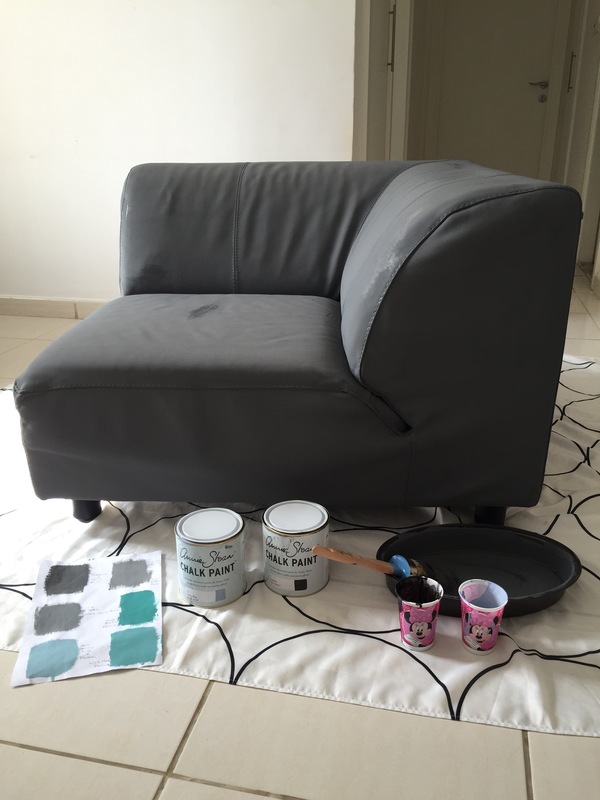 This sofa really was being painted in 50 shades of grey. I’m not going to lie, it looked horrendous. I decide on the only course of action I could think off which might improve the situation; a large glass of wine. 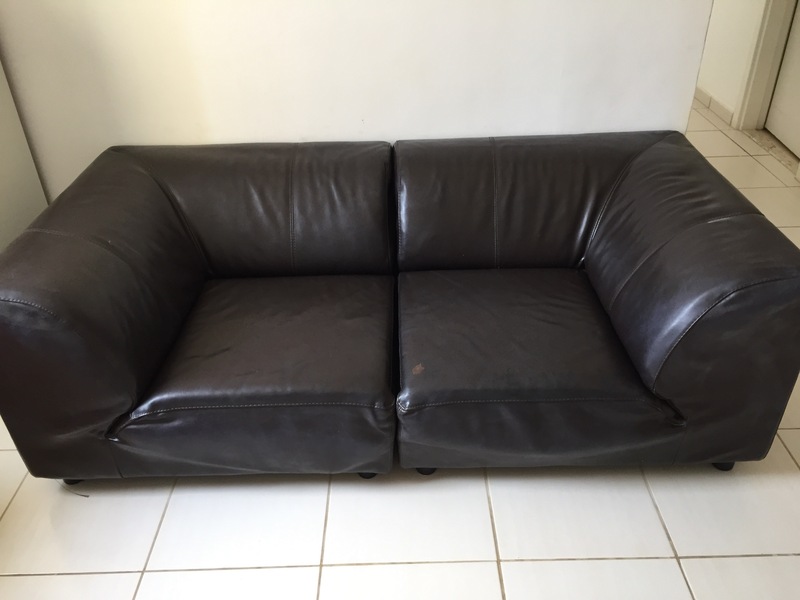 The wine didn’t help my sofa but it did help me get a good night’s sleep so I sprang out of bed the following morning sure that waxing it was going to fix everything. And you know what? It kind of did. If the paint is brilliant, the wax is magic. I used the clear wax painting on a section at a time with the excellent Annie Sloan wax brush then buffing it in a circular motion with an old t-shirt. Suddenly the sofa became all shiny again. 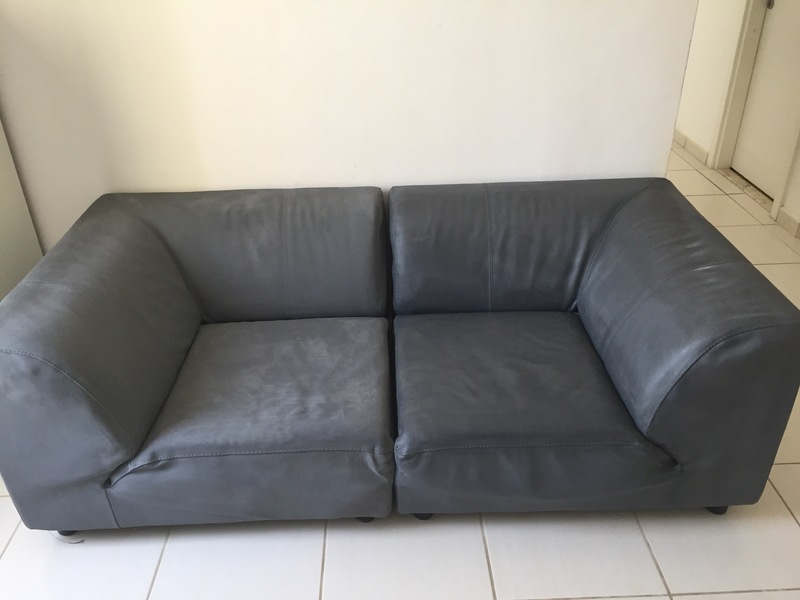 The wax evened out the patchy paint work and it started to look like a slightly distressed, quite cool, grey leather sofa! The sofa lives in our play room so has my munchkins jumping all over and, at the moment, it’s holding up well. I forgot to mention earlier that Mr Y sat on it before it was waxed which both caused several cracks in the paint, and incurred my wrath. The wax did a great job of sealing them though and they kind of add to the distressed look so I’ll probably forgive him at some point. Especially if he buys me a new sofa …. The World Trade Centre recently hosted the 25th INDEX Design Exhibiton and I went along. Twice. This is Dubai so the place is vast and it took me about 7 hours over 2 afternoons to cover it. The prospect of so many undiscovered interiors gems meant that I was grabbed by an unexpected and frankly, undignified, urge to skip through the doors. Thankfully though, I managed to hold it in and stick to a casual stroll. The first such gem was Louis De Poortere which supplies beautiful vintage style, hand finished rugs from Belgium. They should be available in Dubai in the very near future. I’ll keep you posted. 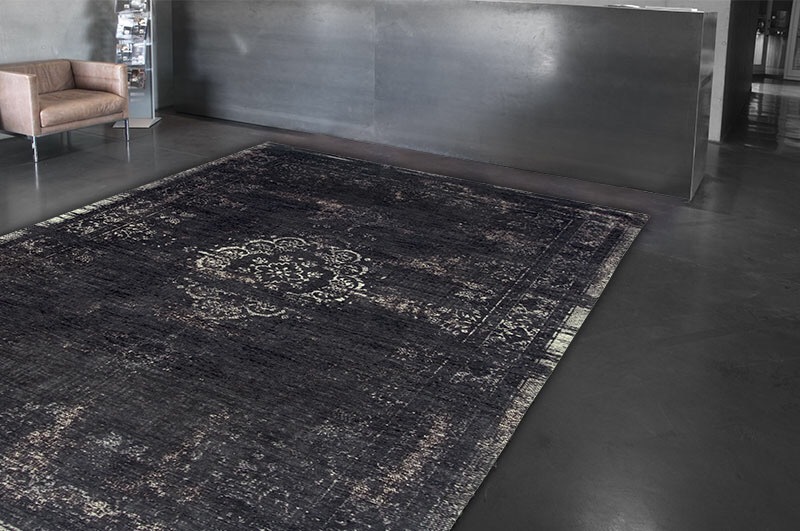 This beauty in ‘mineral black’ from the Fading World collection will soon grace my bedroom floor if I can convince Mr Y that despite clear evidence to the contrary, we really do need another rug. ‘Obviously we can just layer them’ is my compelling argument. Next up were more gorgeous textiles courtesy of Italian family company Busatti which is over 150 years old. 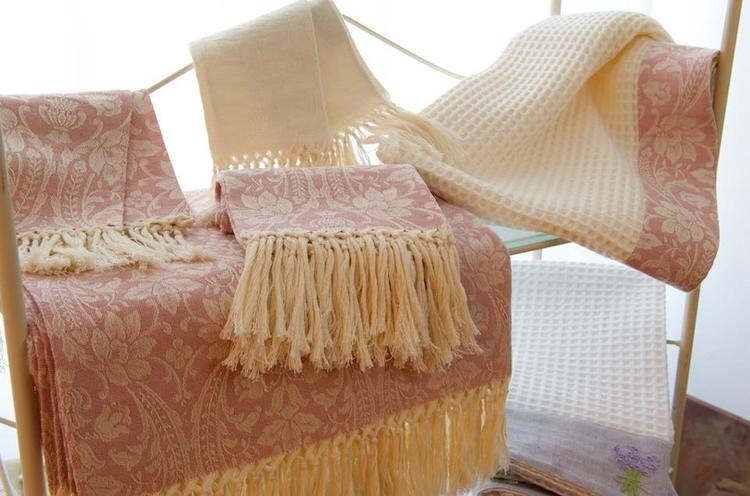 Traditional looms and dying methods combine to create a softness and an integrity of colour that is hard to find in these days of mass production. New to Dubai, their luxury bedding, towels, dressing gowns, table cloths and cushions, among other lust-able items, can all be customised through their bespoke service. Nothing like a house full of co-ordinating, personalised linen to make you feel like an Italian Contessa. My final pick of the many stunning fabrics on display were those found at Schlossberg of Switzerland. 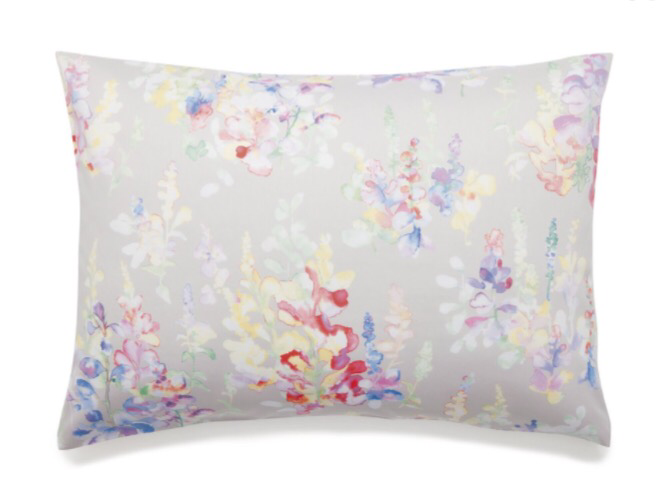 This is bedding worth selling a kidney for. My two favourites were quite different but equally gorgeous. 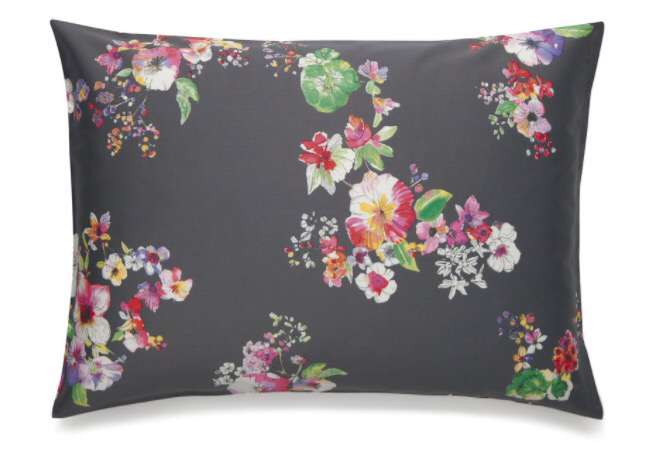 Gina is a more graphic, illustrative print while Leonie is more romantic and painterly. I need them both. Sadly there is no Dubai stockist yet but for you lucky London people, the range is available at Harrods. Lebanese brand Kafka Goes Pink’s contemporary take on traditional Eastern lighting can be found at Comptoir 102 and O’de Rose. 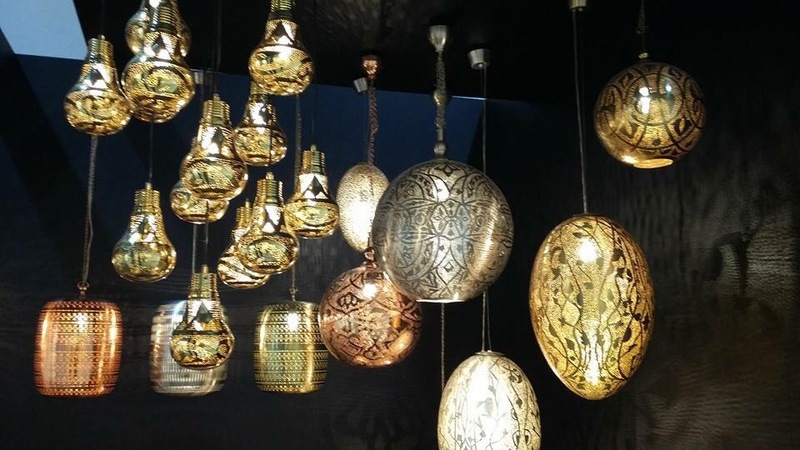 Designer, Fady Saliva, has also create a range of gorgeous silver, gold and rose coloured bowls, trays and stools. The good news is that there’s no need to limit yourself to just one metal. Mixing them will add depth and glamour to your scheme, and, if you ask this magpie, more is more when it comes to metallic accessories. 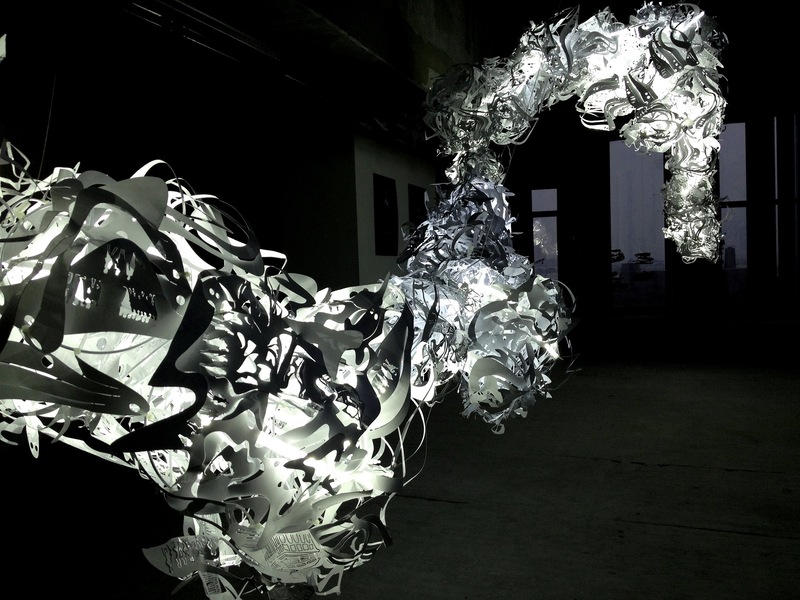 The carved aluminium light installations by artist Yu Jordy Fu at M&J London were simply breath taking. The intricately detailed carvings depict people, animals and buildings within an overall theme such as the beautiful Dream Collection shown below. These bespoke pieces can be completely customised to meet the customer’s requirements and vision. The company also has an incredible furniture collection which is well worth a look. Sustainability is a key issue in Interiors with both designers and customers showing increasing concern for how the industry impacts our planet. French company Adjao Maison exemplifies this with it’s nature inspired and eco friendly range of furniture and lighting. 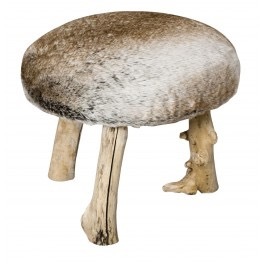 I love their cute, tactile Kino stool made from recycled driftwood and faux fox fur. The international and innovative nature of the exhibiton was reflective of Dubai both as a city and a design destination. INDEX was absolutely worth the blisters and I’ll definitely be back next year wearing more comfortable shoes. My only worry is that if I’m in flats, the urge to skip might triumph. 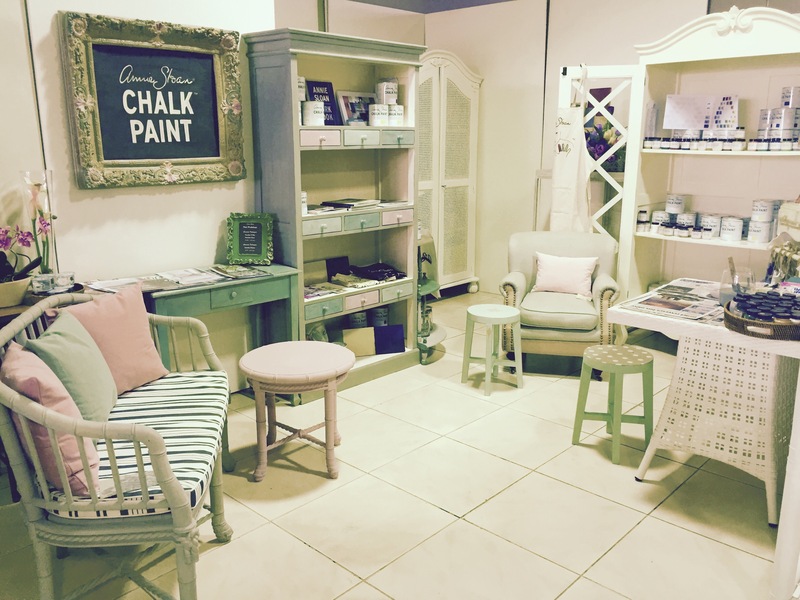 Today I did an Annie Sloan chalk paint workshop at The Warehouse in Al Quoz. I loved it so much that I’m genuinely concerned I will no longer have time for Mothering and, instead, will be in a constant state of painting and waxing furniture. The Warehouse is a peaceful, tasteful interiors store and well worth a visit in its own right. Being surrounded by gorgeous things, apron on and paint brush in hand automatically made me feel all arty and creative (a welcome change from my usual harassed and late). Lynley who runs the course is a lovely lady from New Zealand. She is both knowledgeable and passionate about the paints, and very patient with her students. 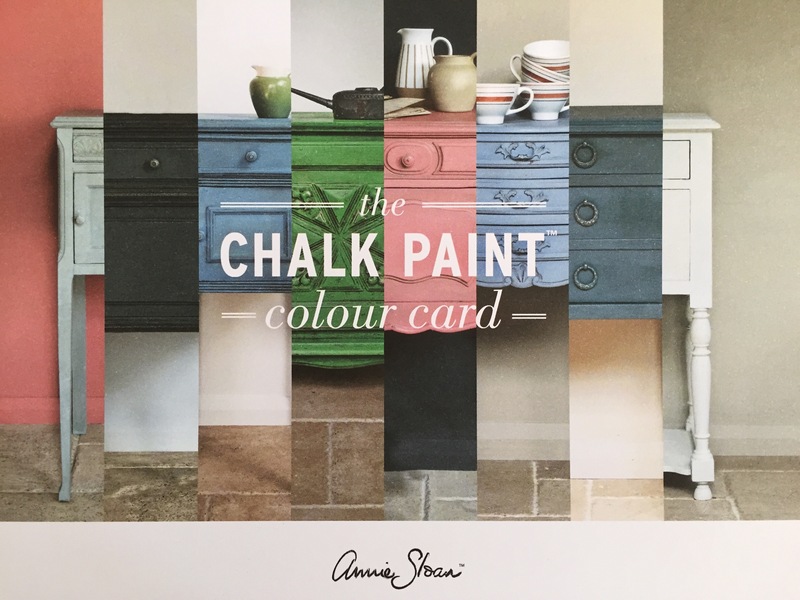 Annie Sloan chalk paints themselves are a dream to use. A beautiful existing palette can also be easily mixed to create your perfect colour. They dry incredibly fast and the wax seals them to ensure a durable finish. Today we learned how to create 3 effects; crackle finish, leathered and two-tone distressed. I will be going back in a few weeks to do the next course which covers more advanced techniques including using metallic paint and decoupage. I can’t wait! In the meantime I intend to put my new skills to use in my own home. 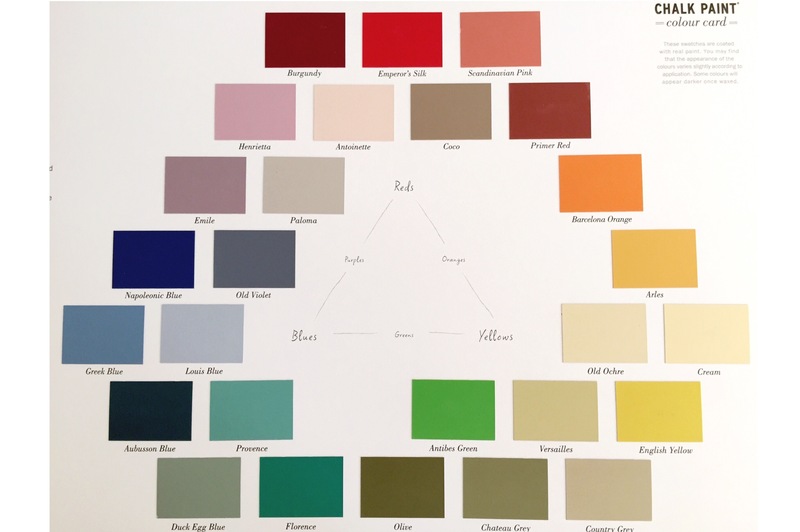 The fact that these amazing paints can be used on almost any surface, combined with my natural impulse to bite off more than I can chew, has resulted in my first project being the painting of a … er … leather sofa. It will be fine! Pictures to follow (unless it’s not fine, in which case there will be no pictures). Aside from anything else, learning something new and painting for a couple of hours is good for the soul. 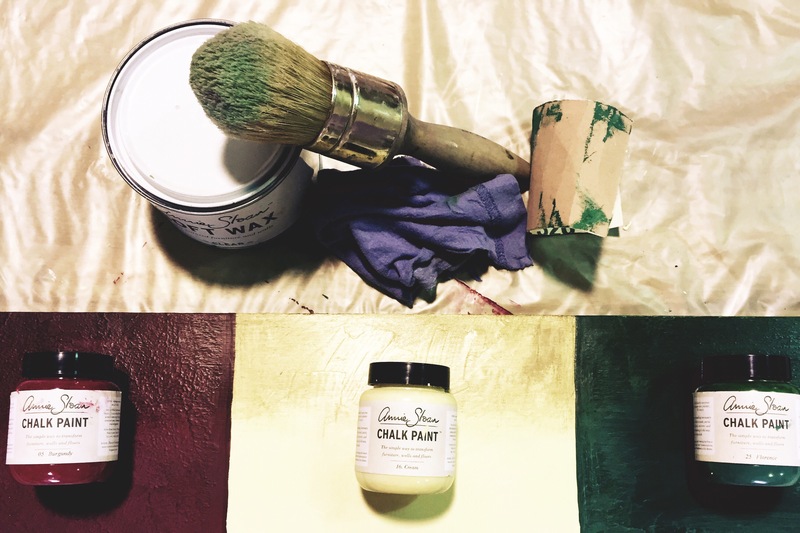 Even if you don’t fancy the course, you can pop in to The Warehouse at any time and the lovely staff will set you up with everything you need to have a play with the paints. Testers of all the colours are available and you can mix away to your hearts content. Give it a go, your furniture will love you for it.